Fresh herbs and seasoning set off the sweetness of the butternut squash in this recipe. Just let the oven work its magic. Place the squash in a roasting tin, cut-sides up. Drizzle over the olive oil and dot with the butter. Season, to taste, with salt and freshly ground black pepper, then scatter over the thyme leaves and the whole sprigs of thyme. 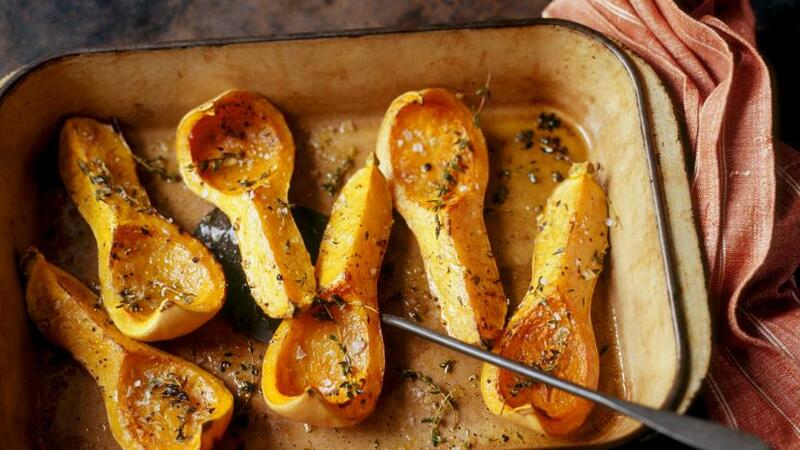 Roast in the oven for 45-50 minutes, or until the squash is tender and has turned golden-brown in places.